Coombe Abbey in Coventry has become a second home to the Finishing Touch team. We were back there in July for the wedding of Richard and Cheryl. The couple both got ready in their rooms at the historical country hotel with the talented, awarded winning makeup artist Chloe McCall getting our Bride red carpet ready. The girls wore pretty mint green gowns and Cheryl wore a beautiful fitted and detailed white wedding dress, with a long cathedral veil. Richard made his way into their wedding ceremony room, the Cloisters, while Cheryl had her final photos with her Bridesmaids and father, who gave her away. The room was filled with fresh mint green decor and candles placed on the main table and down the aisle to create a romantic atmosphere. Once the couple had said their vows and officially became Husband and Wife, we took them for their group formal photographs. Thankfully the weather stayed dry, so we were able to take the couple around the stunning grounds of Coombe Abbey for a quick photoshoot. Guests entered the marquee, where the wedding breakfast and reception was held. Speeches began and one of the best men surprised the guests with an acoustic song. After the speeches, while guests mingled and got ready for the reception party, we took Richard and Cheryl out around the grounds again for another Bride and Groom photo session. 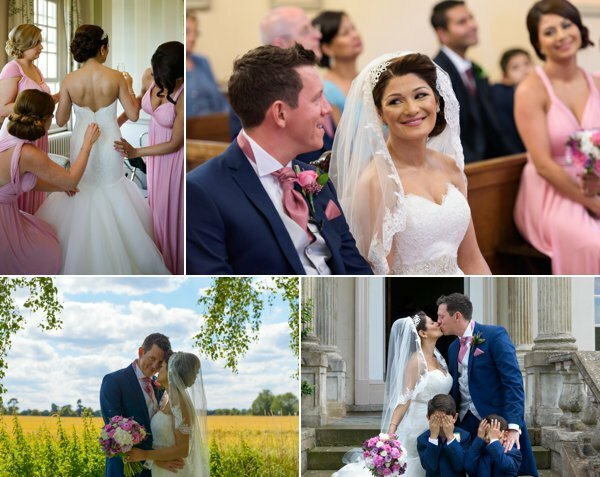 We are so pleased with the footage and photographs, you two were great in front of our lenses! Once the evening guests had arrived, the couple went back into the marquee to cut their wedding cake before stepping onto the dance floor for their first dance as Husband and Wife. They had The Live Lounge wedding band sing their first dance song. We love live music on a wedding day! This lead to the dance floor opening where guests joined the couple to get the party started. 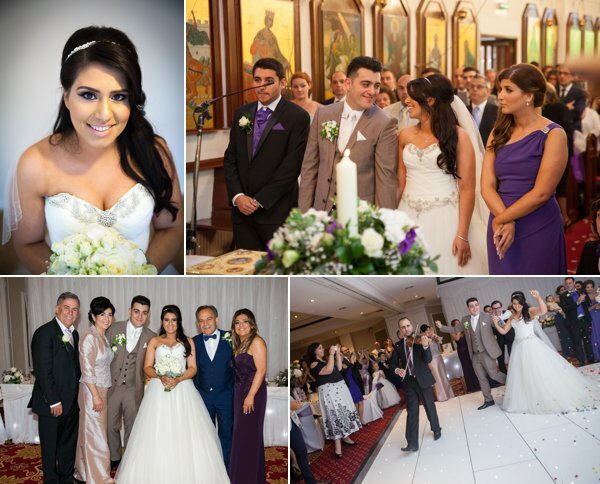 The Finishing Touch team had a great time capturing your wedding day. Thank you for choosing us to be part of your special day! We had a wonderful time capturing Bal and Rakhee’s wedding recently. 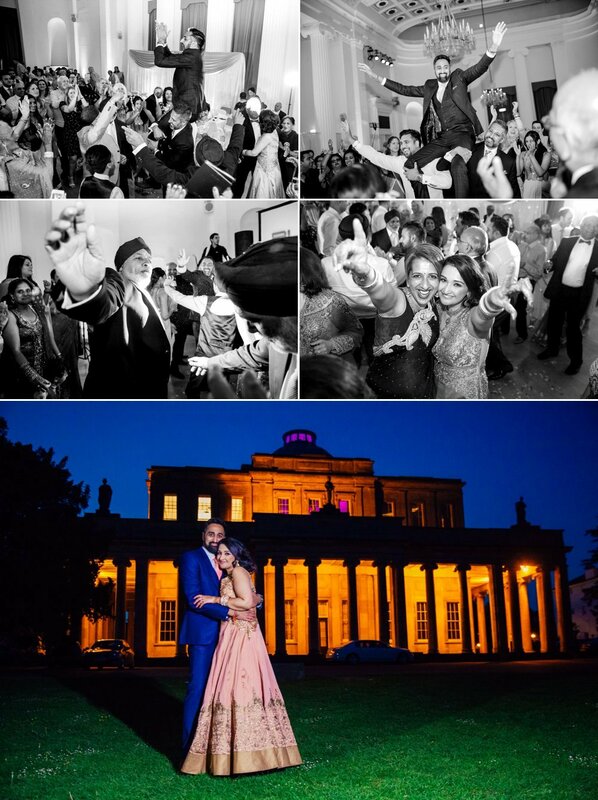 They hired The Finishing Touch for both photography and videography coverage of their grand Hindu Wedding, which was held at the Pittville Pump Room over in Cheltenham. Rakhee got ready at her parents home in Gloucester, where we were able to capture stunning morning preparation shots, along with some family photographs before she left for the wedding venue. Bal opted to get ready at the scenic and beautiful Balcarras Farm Cottages, which is located in Cheltenham. 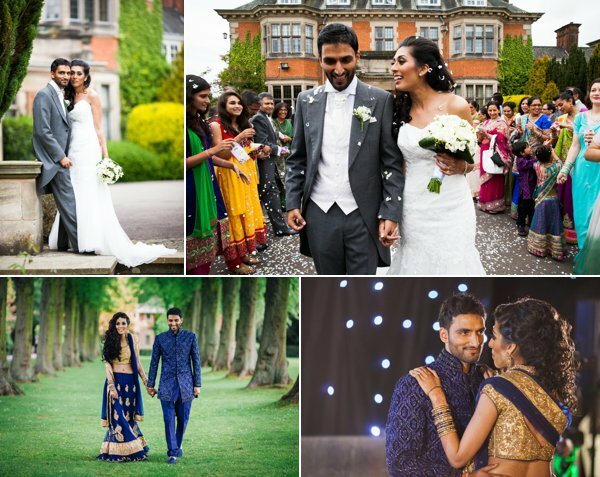 Once Rakhee made her entrance into her wedding, we could see from the couple’s smiles and interactions with each other that they were two best friends, who found love with one another that lead them to this milestone day. You adorable pair!! There was so much potential around the ground for a lovely couples photoshoot, so after the wedding ceremony, we were able to take the Bal and Rakhee outside for a quick photoshoot session. The newly weds then got changed into their evening outfits ready for their reception. Before making their grand entrance as Husband and Wife, we took a few snaps of them again outside their venue. This led into their grand entrance, where Bal and Rakhee danced and giggled their way through the crowd of guests. We love it when couples show their personalities comfortably, to a room full of people sharing their happy moments together. Throughout the couple’s wedding, not only did their love for one another beam, but their friendship and playful interactions left such a fun buzz throughout their special day. To end the night, we took Bal and Rakhee outside one last time to capture the couple outside the Pittville Pump Room. The venue was beautifully lit up up in the dark, which gave us the perfect end to their wedding day story. We can’t thank you enough Bal and Rakhee, for choosing us to share your story of love and friendship.